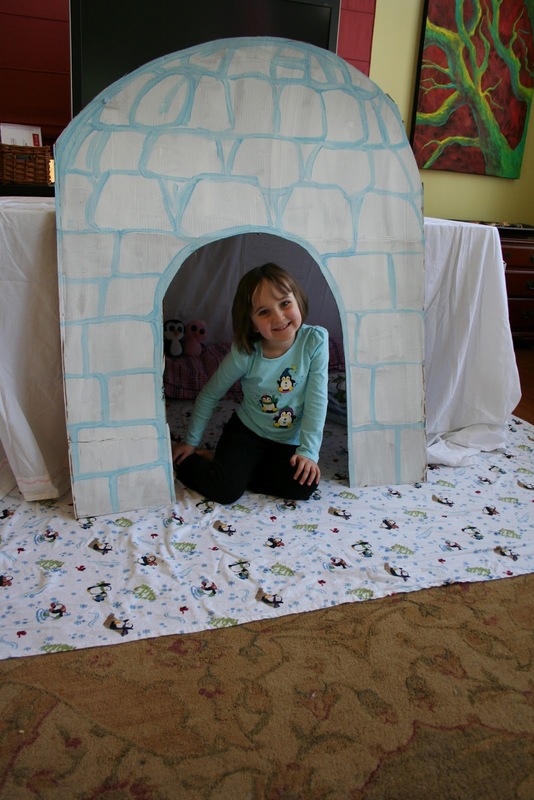 The birthday girl, "C" wanted a play fort igloo for her Penguin Party play date. stacks of cereal boxes or toilet paper on the warehouse pallets. Yes, I was the crazy lady schlepping cardboard through the store and to my car. At home, I painted the whole thing with white gesso paint on my garage floor. After it dried I used a box cutter to cut off the top corners and cut out a doorway. Then we added "details" with some blue washable acrylic craft paint. and glued them on either side (on the backside) with my glue gun. For the fort, we just set up our usual "fort table"
a folded back opening in the middle. 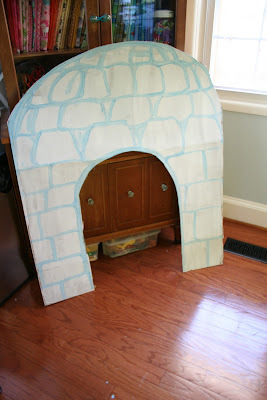 Then I leaned the cardboard "igloo" in front of it. "C" added pillows and stuffed penguins. 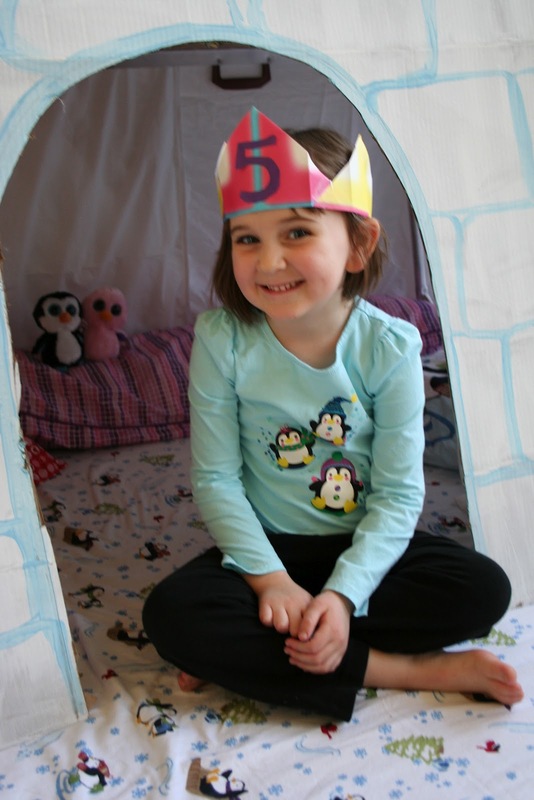 The birthday girl with her igloo fort. 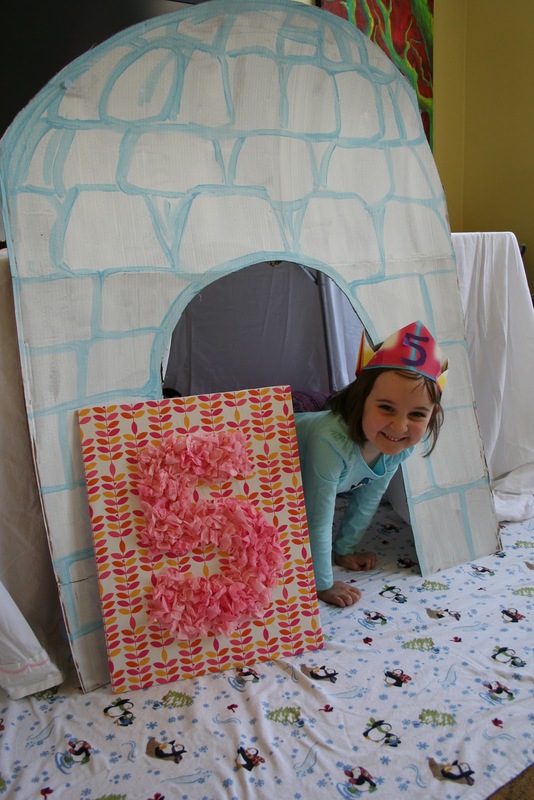 Birthday girl and her big sister playing in the fort before the party. "E" made an origami paper bird beak and a crown for her little sister.